Model A Owners of Canada Inc – Canada's Leading Group of Preservationists, Restorers, and Drivers of the Ford Model "A" Car. Canada's Leading Group of Preservationists, Restorers, and Drivers of the Ford Model "A" Car. Welcome to the new MAOCI website! Get updates on what's happening around the Club. Become a Member today and join in the fun! Visit Events for dates of events, tour times and/or contacts. Get ideas on what you can do in our Club by visiting our Gallery! Become a Mileage Award Winner! Join Us on Picturesque Tours! Our Club consists of over 350 members that have an interest in maintaining a growing fellowship and camaraderie amongst people that enjoy the fun and excitement of the ’28-’31 Model “A”. It is a vehicle that everyone, young and old, can work on, polish up, drive around, and feel confident that there are others that respect this fine example of Ford engineering. The Model “A” is a very unique pre-war car that is quite roadworthy and affordable. We hope you take time to browse our Website as well as check out the other Clubs and services that we are linked to. 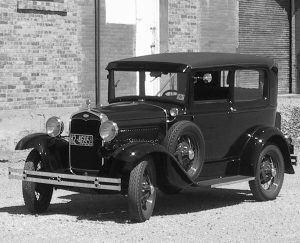 Let us know what more we can do to provide information about the Model “A” Ford, it’s place in history and the role it played in Canada’s automotive development. Visit MAFCA, MARC, the Stampede City Model ‘A’ Club in Calgary, Canada’s Capital A’s out of Ottawa, Pacific Model ‘A’ Club and other Clubs, that also support the preservation of Antique Auto’s, (old cars), 1928 – 1931 Fords and other similar vehicles. Our Club has grown to include Chapters beyond the Toronto Area, such as the: Trillium Chapter meeting in Whitby, the Huronia Wire Wheels Chapter meeting in Tottenham, the Southern Ontario Chapter meeting in Waterloo, and the Just A’s Chapter meeting in Oshawa. There’s a new group which is part of the main club, based out in Mississauga, the Applewood ‘A’s. They have monthy Nov. to April meetings during the winter months, contact Ian Robertson for details. Another group, of members: the Eastend ‘A’ers meet every Sunday at Wendy’s on Victoria Park Ave. & Hwy 401. Visit the EVENTS page for further details about all these meetings. You’re not obliged to own a Model “A”, to belong in the MAOCI, however, after you’ve shared the experience there’s always one, to buy, that will make you smile. Mississauga Vehicle Inspection day- Royal Canadian Legion. Click on the Tudor image, to view photos of major events from previous years. All rights reserved. Use of, distribution &/or display of any icon, title, story content, in any variation, without permission is strongly prohibited.